John Lennon Scholarship is open to junior high school students, high school students, college students and graduate students who are interested in a music career. Scholarships are awarded each year to the three best original songs submitted by students. Eligible students must be enrolled in or currently attending a U.S.college or university. Songs submitted for consideration must include original lyrics and music. One $10,000 and two $5,000 scholarships are awarded each year. 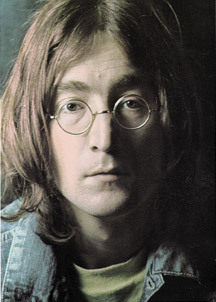 The scholarships honor John Lennon, one of the most gifted songwriters in the 20th century. The scholarship program was established by Yoko Ono in 1997 and has awarded more than $300,000 in scholarships. John Lennon Scholarships are awarded by the BMI Foundation, a non-profit organization established in 1985 to encourage the study of music and recognize the talent of young songwriters. The foundation is supported through donations from songwriters, composers and publishers as well as private donations from people with a special interest in music. The deadline for this scholarship is usually in APRIL of each year, and the award amount is usually $5,000 - $10,000.